We are so excited to be participating in Picture Book Month! Thank you, Healthy Happy Thrifty Family for inviting us! When we saw that Kathryn Otoshi was on the Picture Book Month calendar we were even more excited as she is one of our favorite authors! 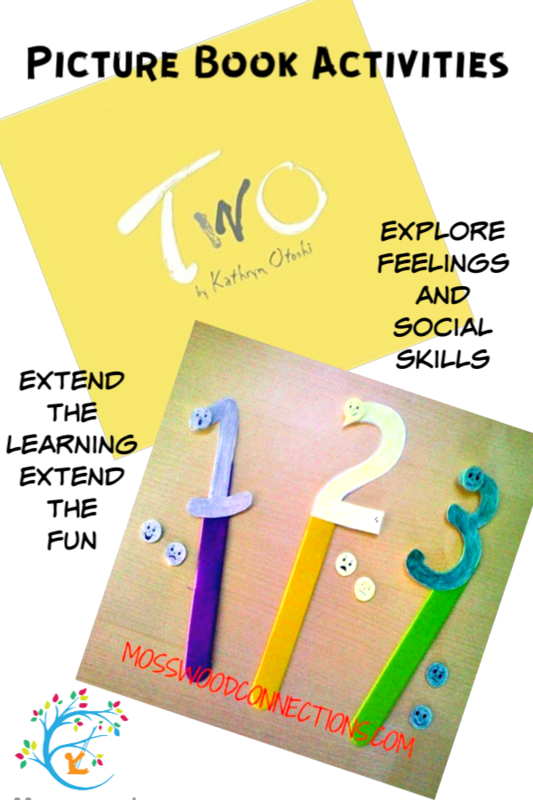 We are happy to share our Two by Kathryn Otoshi – Picture Book Activities. Explore feelings with this easy craft that is a great companion activity for the lovely picture book TWO. "Two is best friends with One. Whenever they'd get the chance, they'd dance! She'd sing and snap. He'd tappity-tap. What a pair they made! At the end of each day, they'd always say, "ONE, TWO, I'll count on you, 'til the end, we'll be best friends." Until Three jumps in between them . . . Suddenly One only wants to play with Three. "ONE, THREE, odds we'll be!" they chant. Two feels left out. But what can she do? 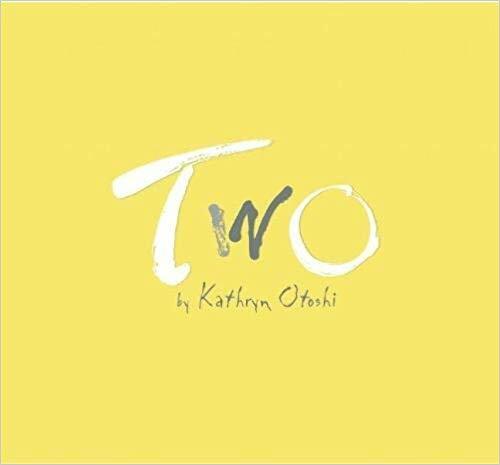 Another character-building counting book by award-winning author Kathryn Otoshi, Two is a powerful story of friendship, loss, letting go, and self-discovery." Books are wonderful enough on their own but you can really elevate the experience by extending the learning. Two presents social situations that many children can relate to, open the pages and open a door to understanding and talking about friendships, bullying and more. You can print the numbers on colored cardstock or you can have the kids color the numbers. 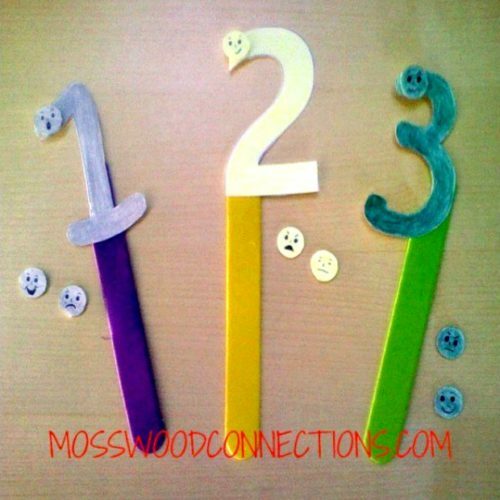 Glue the craft stick to the back of the number to make a stick puppet. Put a piece of velcro on the number where you want to add a face. Put a piece of velcro on the back side of the face. Change the faces to explore different feelings. Use the numbers to act out the story.